Babatunde Fashola, minister of power, works and housing, has disclosed what he knows about the allegedly diverted $600m Mambilla Power project money. According to him, reports that the Mambilla power project has been stalled, due to an attempt to divert funds, is not true. The $5.8 billion project, a 3,050-megawatt hydro power facility, was conceived in 1982. Recall that the Joint Venture Partners assigned to construct the 3050 Megawatts Mambilla Hydro-electric Power Plant had promised President Muhammadu Buhari to begin work early this year. In a statement on Sunday, Hakeem Bello, the minister’s spokesperson, said the federal government never awarded a contract for the Mambilla power project to Sunrise Power and Transmission Company Limited (SPTCL). He described the claims made by Leno Adesanya, chief executive officer of SPTCL, as fictional. Adesany had written a series of petition to Fashola, Abubakar Malami, attorney-general of the federation (AGF), Vice President Yemi Osinbajo and President Muhammadu Buhari, claiming that the company was sidelined in the project by the ministry after it was awarded the contract in 2003. Adesanya had dragged the federal government and its Chinese partners before the International Chamber of Commerce (ICC) in Paris, France over an alleged breach of contract for the project located in Taraba state. However, Bello said available evidence does not support Adesanya’s claims, adding that he is making a desperate attempt to destabilize the project from coming to fruition. “The attention of the Hon. 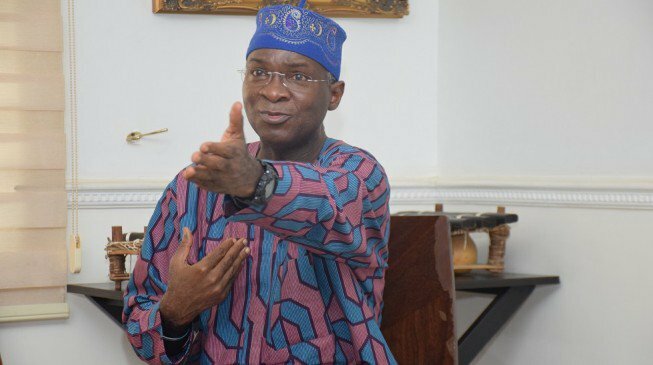 Minister of Power, Works and Housing, Mr Babatunde Fashola SAN has been drawn to the spurious and unfounded allegations of Leno Adesanya with regards to the ongoing Mambilla Power Project,” the statement read. “Nothing is more further away from the truth than the claim that the loan negotiations have stalled since 2017 because of an attempt to utilize $600 Million (equivalent of N219 Billion) from the 3,050MW hydropower project for a “pet project” not hitherto considered by the Federal Executive Council. “There is currently no budgetary provision or cash provision of $600 million or the N219 Billion in any budget of the Federal Government for the Mambila Project. Therefore you cannot attempt to divert what does not exist. “For the avoidance of doubt, the China Exim Bank disburse money to specific projects and on conclusion of negotiations, the loan will be devoted to the construction of the Mambila Power Project, which has been on the drawing board for close to 40 years before the advent of the Buhari administration which is now working assiduously to get the project off the ground. “The antics of Leno Adesanya and his ilk would readily explain why the project has taken so many years without lift-off. Since Mr. Adesanya has chosen to go to court, he would be required to prove his baseless allegation in court. “The Federal Executive Council which is the highest decision making organ of the Executive Arm of Government never awarded a contract for the project to Mr Adesanya. “The allegation with regard to stalling the Mambilla project is untrue , baseless and a figment of Adesanya’s imagination.